Successfully Added Wireless Camera Pen - Included Solar Charger to your Shopping Cart. Wireless Camera Pen - Included Solar Charger. 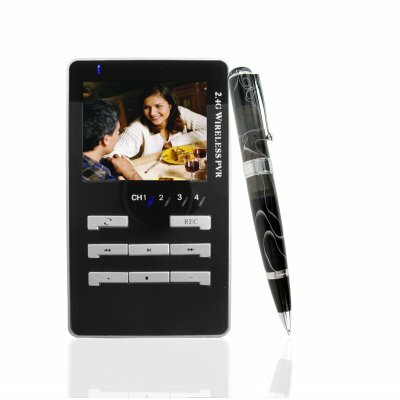 Fully functioning and normal looking pen with completely inconspicuous built in wireless mini camera, and also coming with an included solar charger for quick and easy recharging of the pen cameras built in Li-ion battery. For fun or for some serious , just whip out the pen, twist the cap to start the wireless transmission, have the included wireless receiver with 3~5 meters, and you can view and record everything that your camera pen sees. This is a seriously fun gadget, with many practical and not so practical uses, and available direct from the Chinese manufacturer to you. This product uses the PAL color system. If you need an NTSC version then please contact our Customer Service Team.